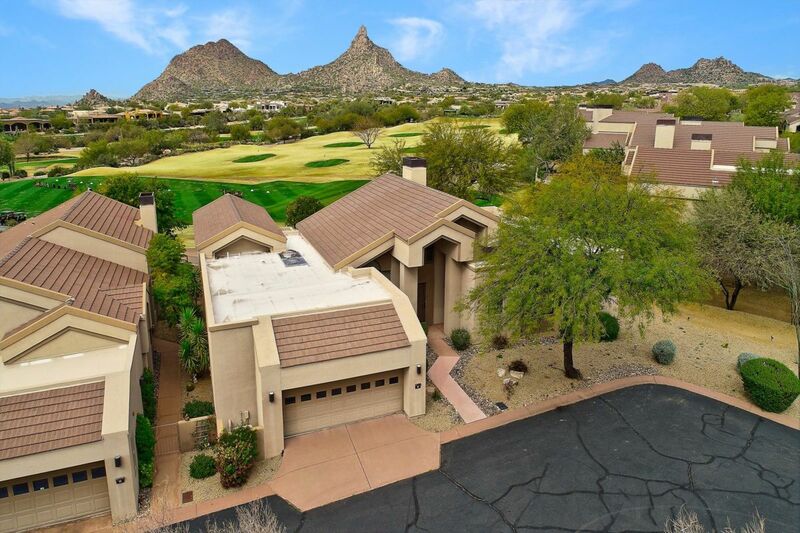 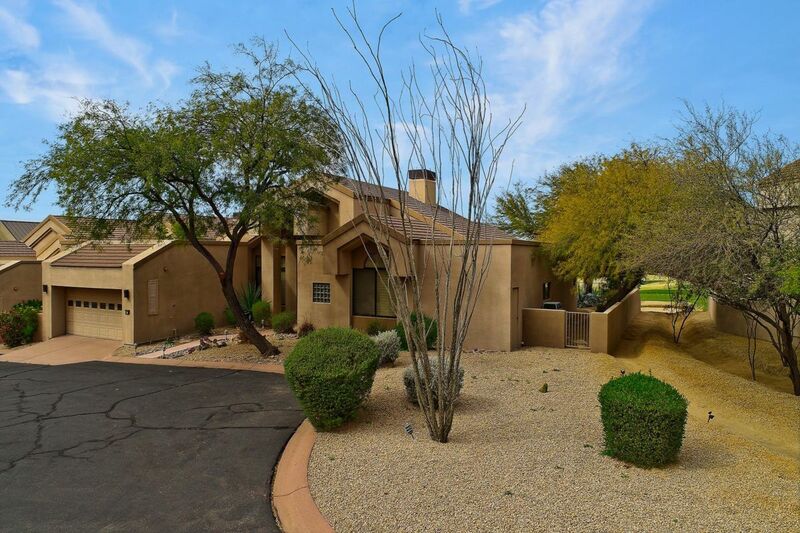 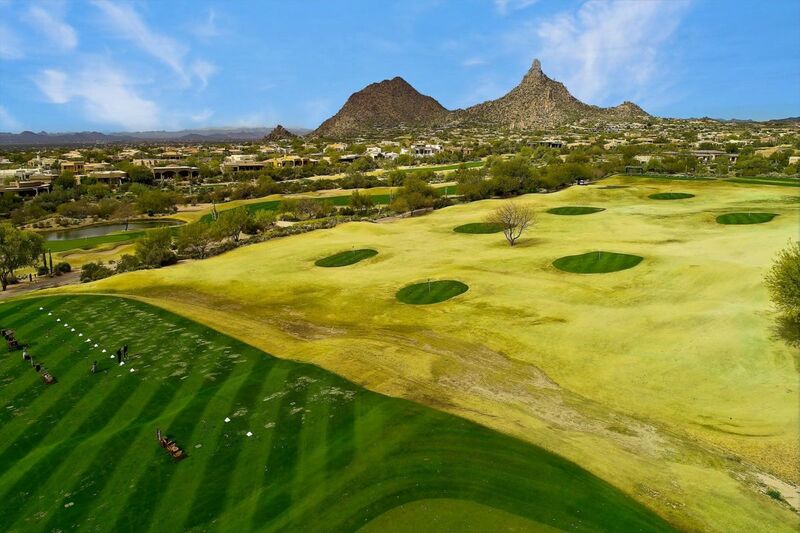 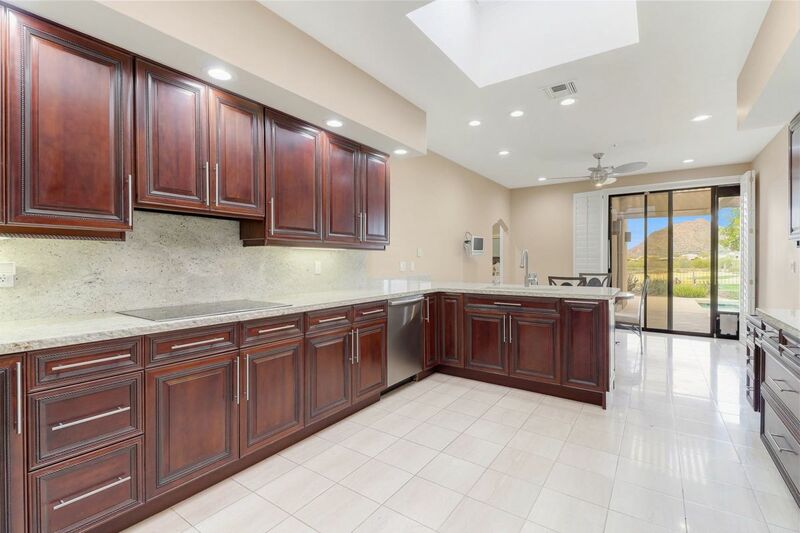 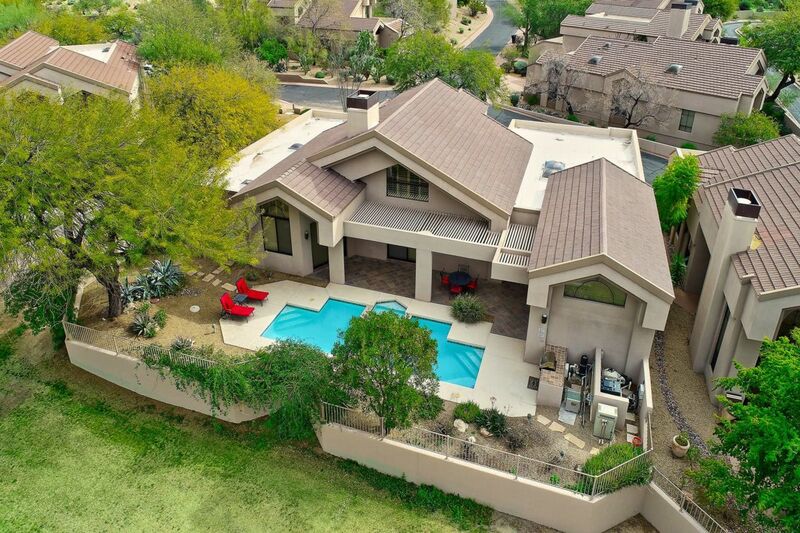 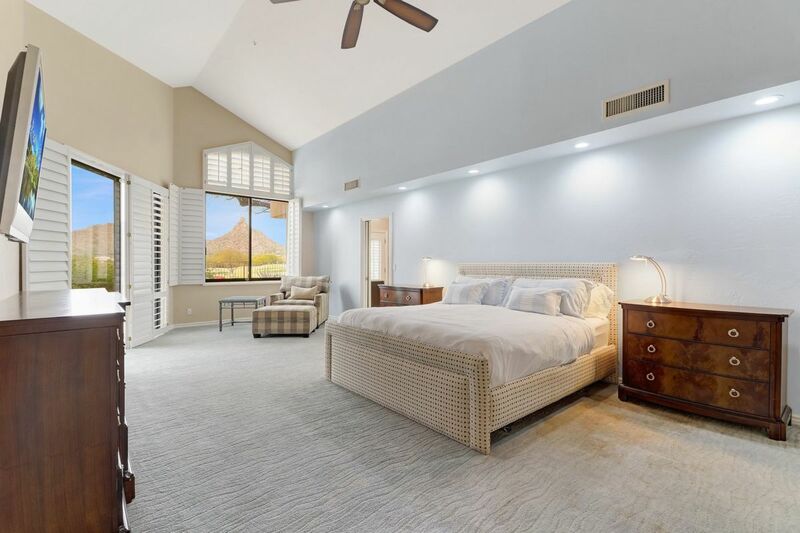 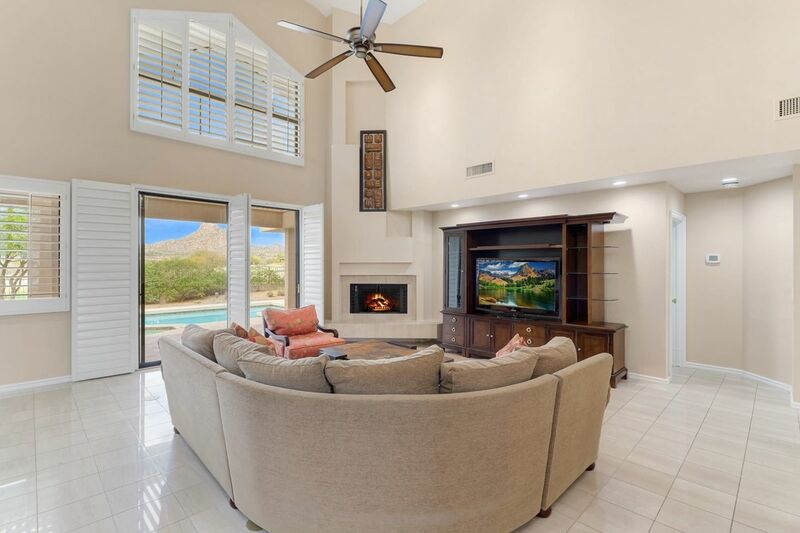 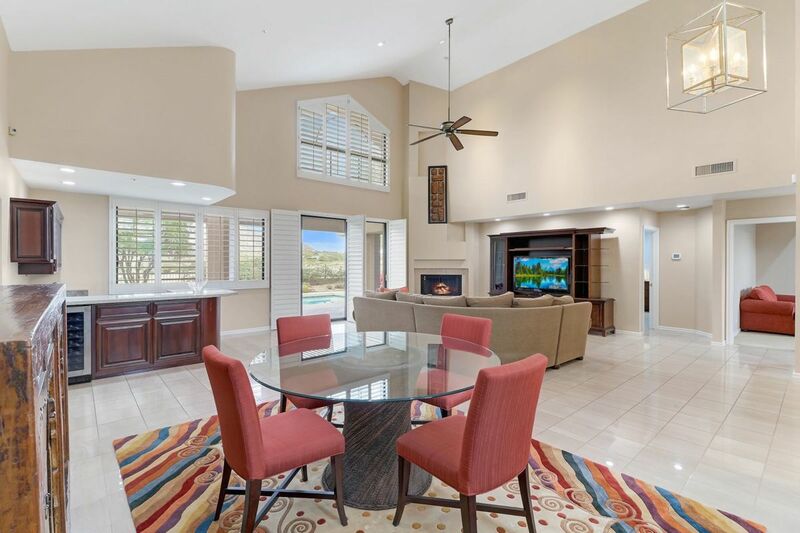 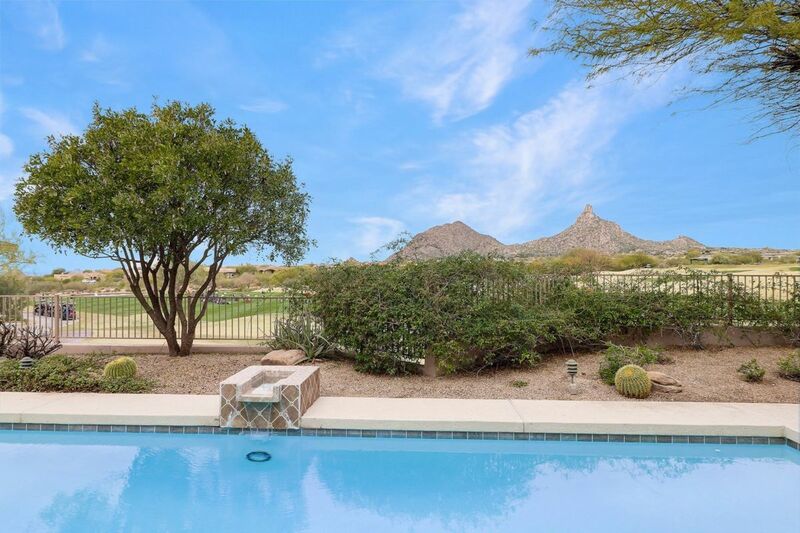 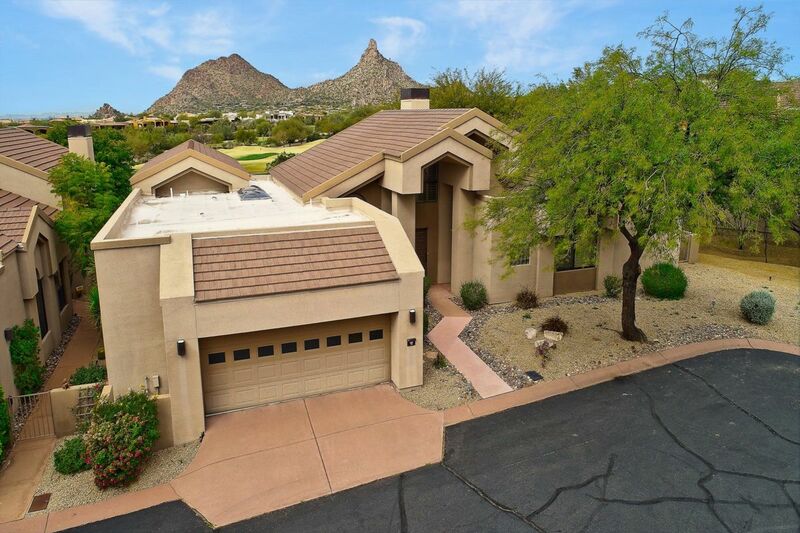 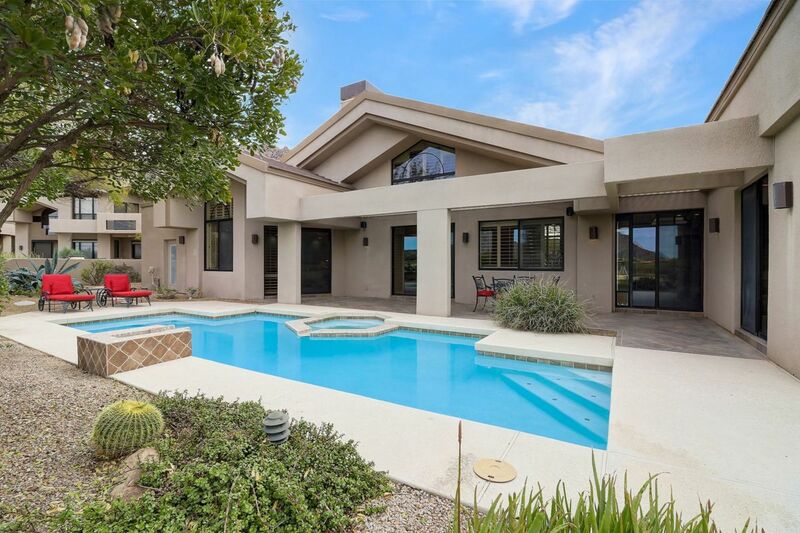 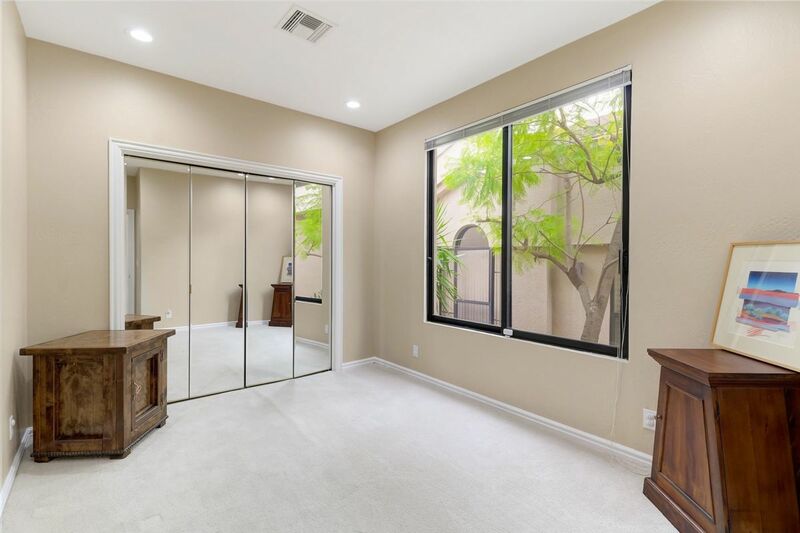 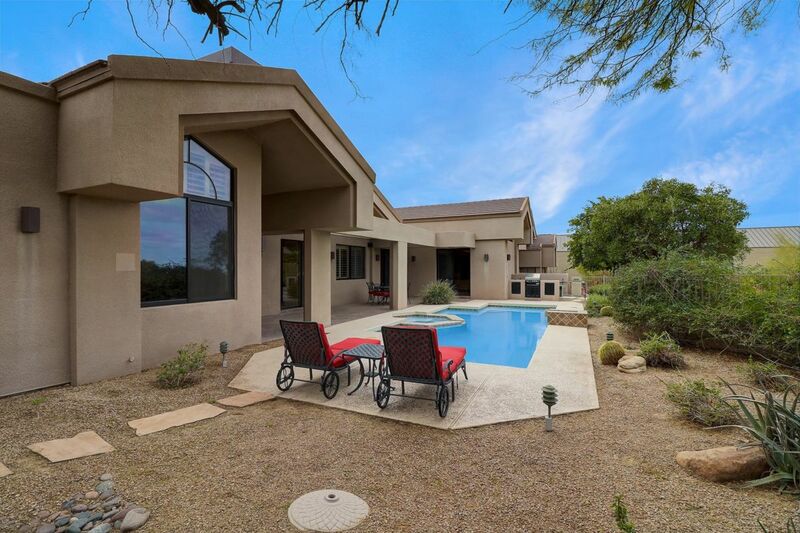 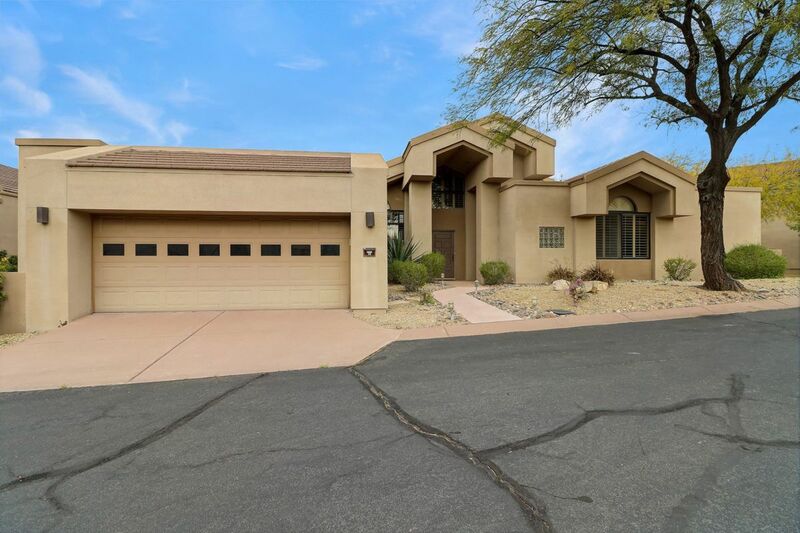 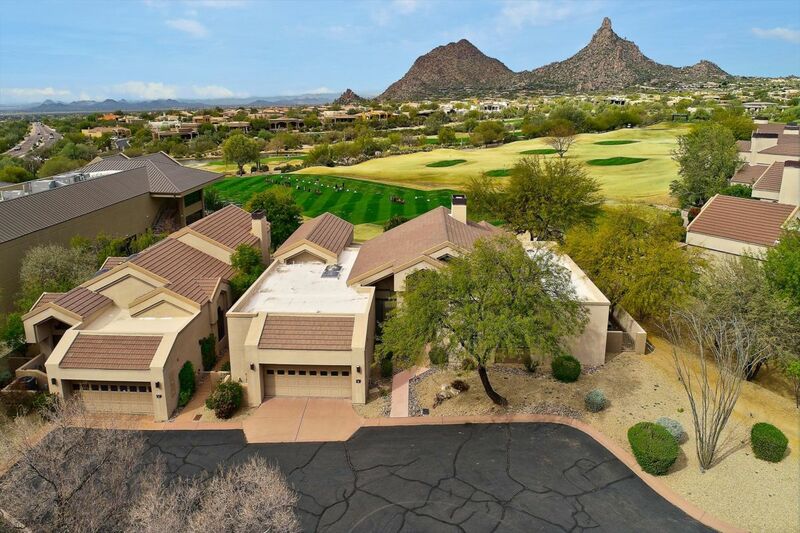 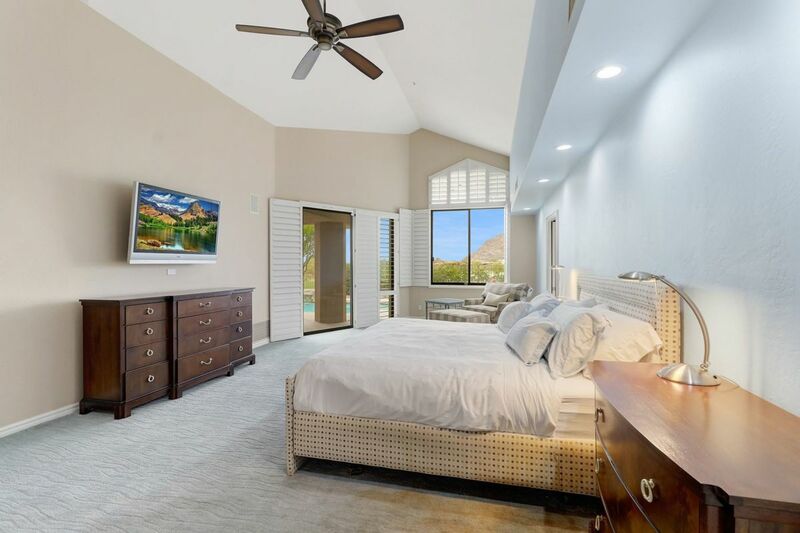 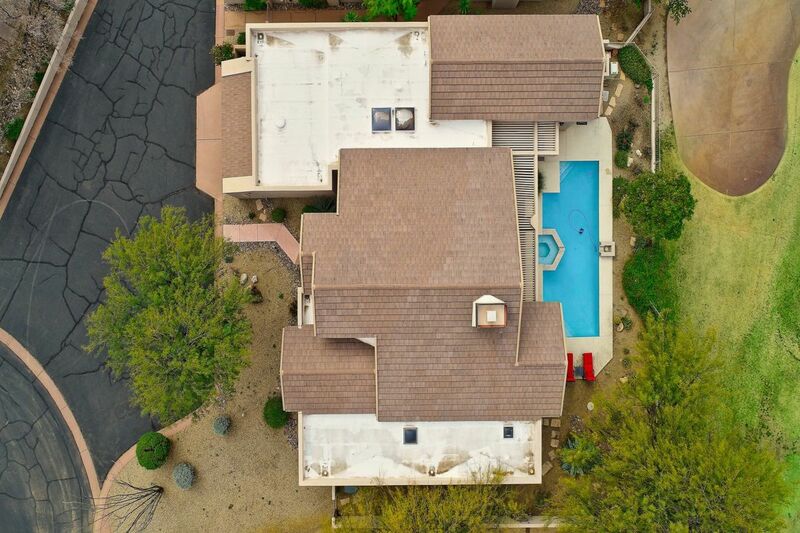 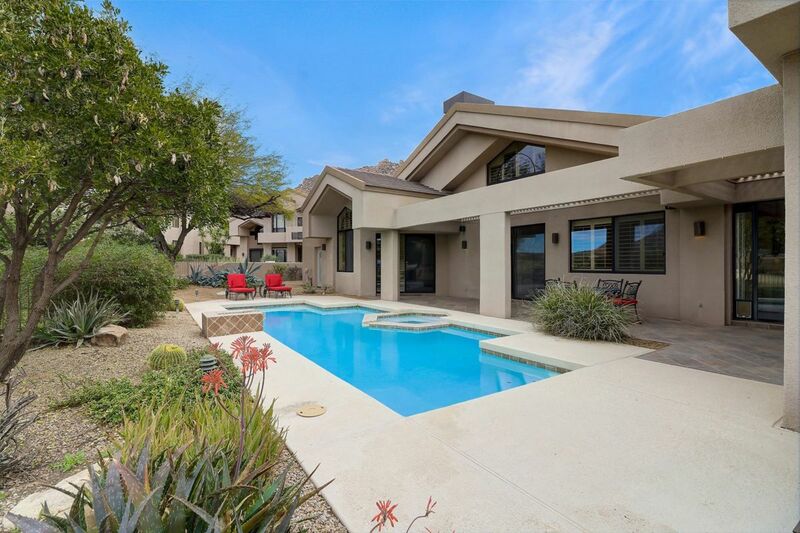 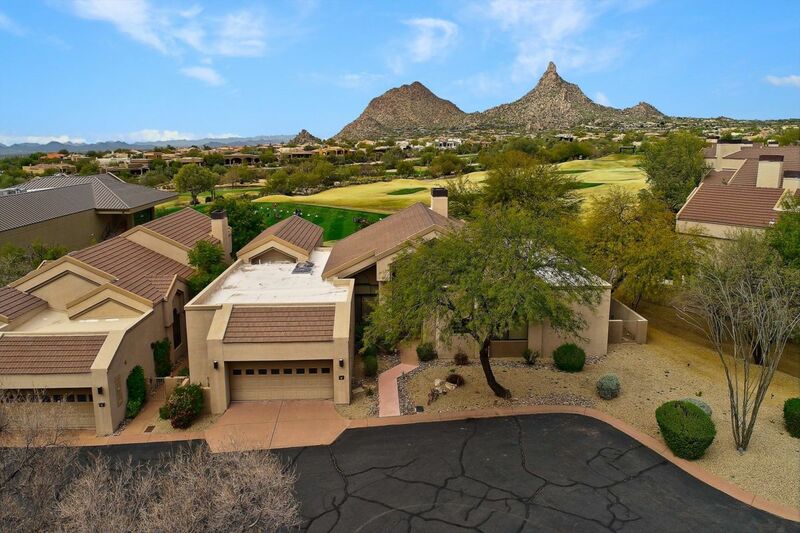 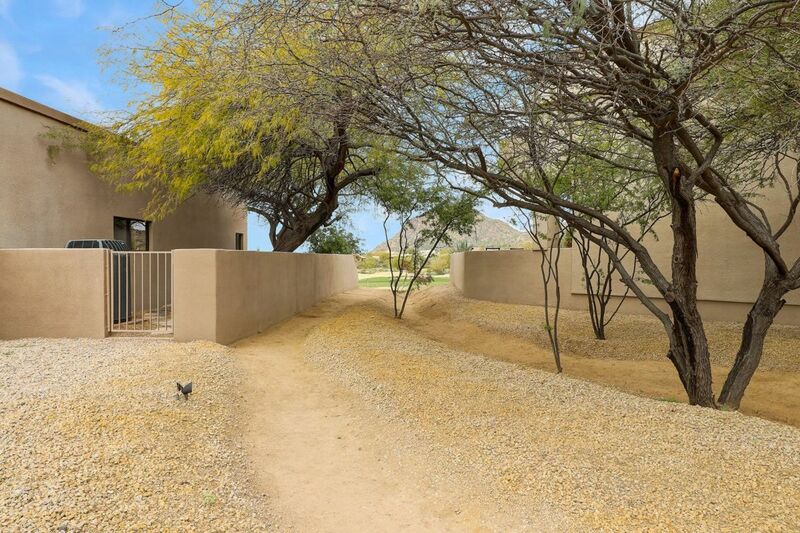 One of a kind opportunity to own this completely unique split floorplan three bedroom plus office, three and a half bath Ballantrae home with incredible views of Pinnacle Peak from almost every room. 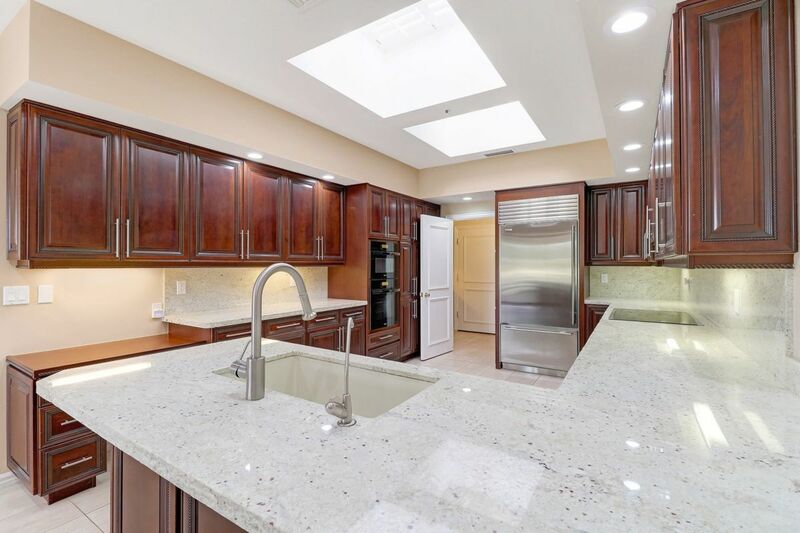 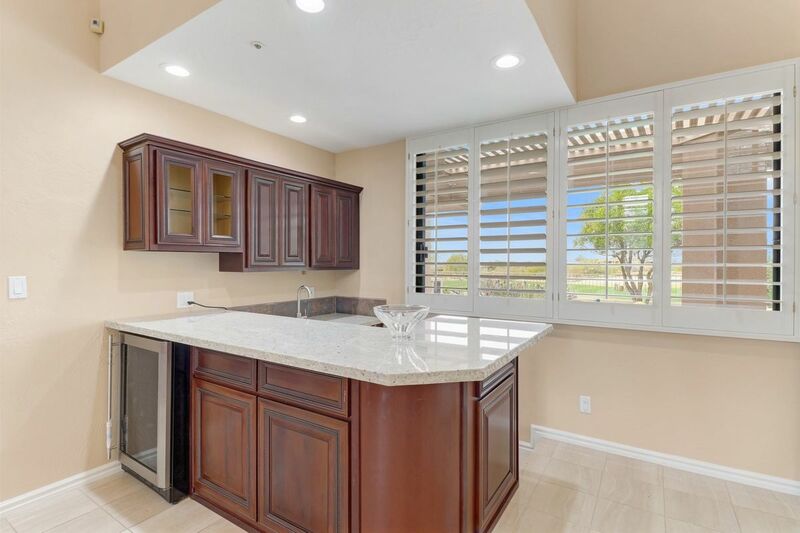 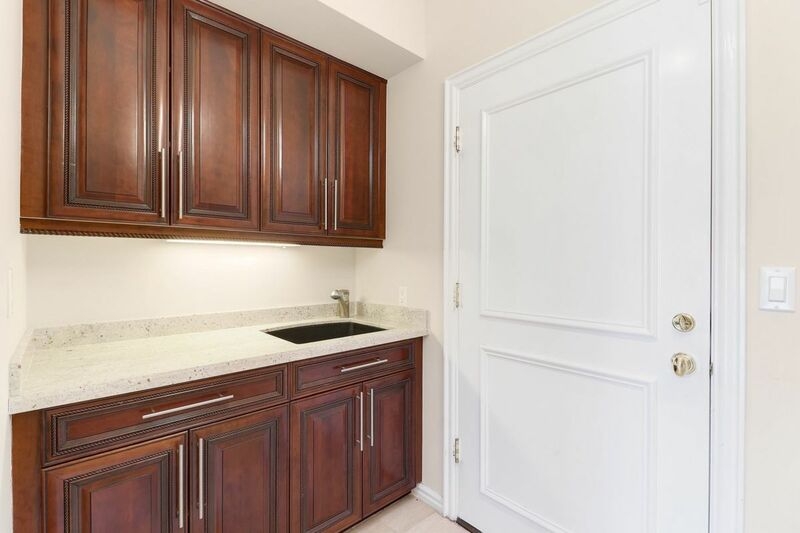 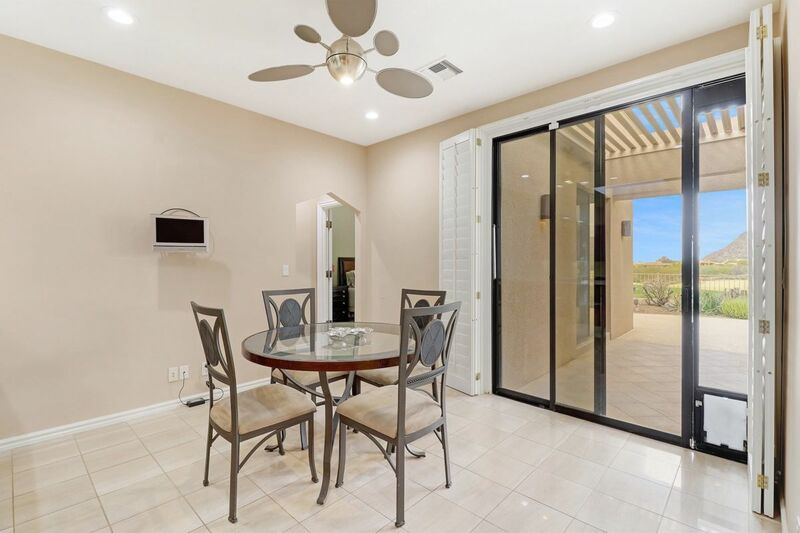 Located in the guard-gated section of Troon Village, two units were combined to create the largest single level unit in the community. 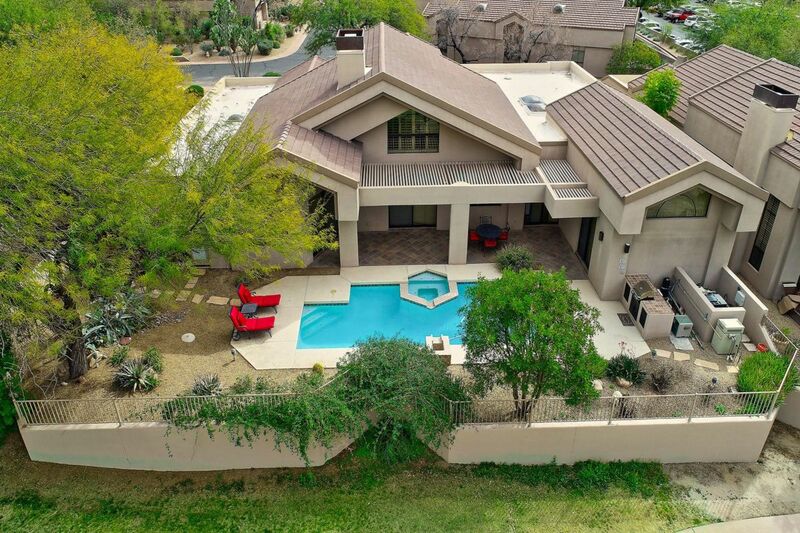 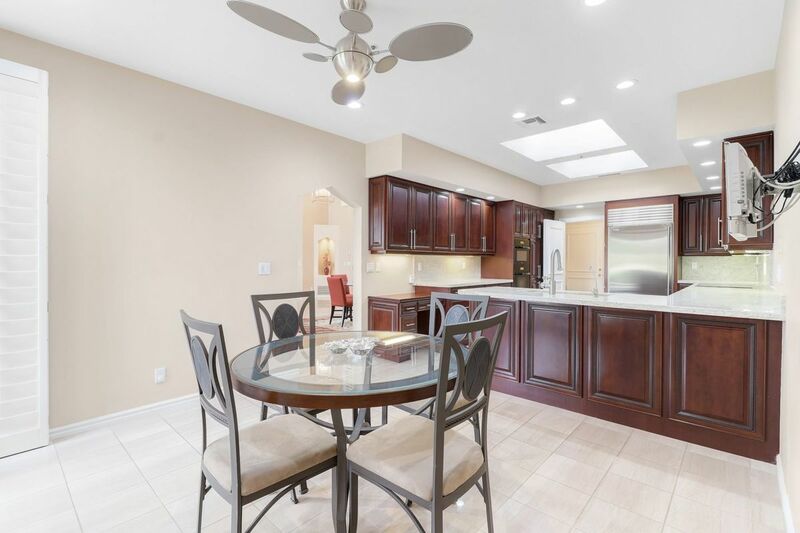 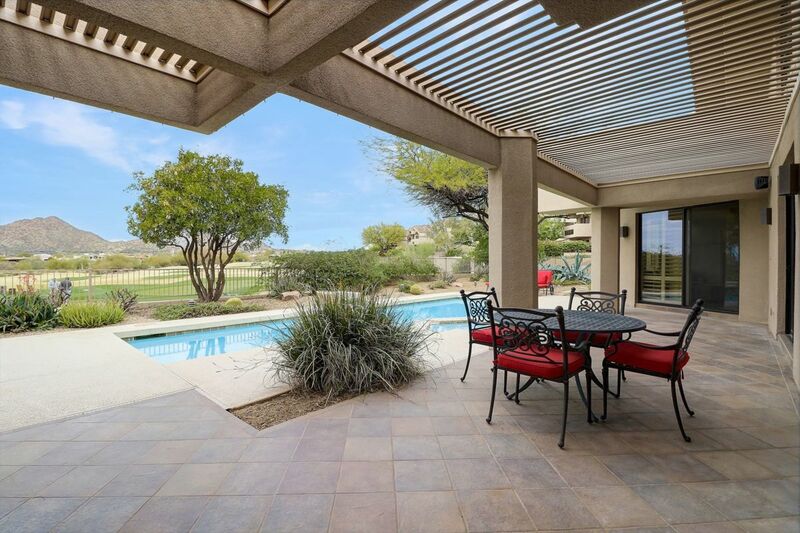 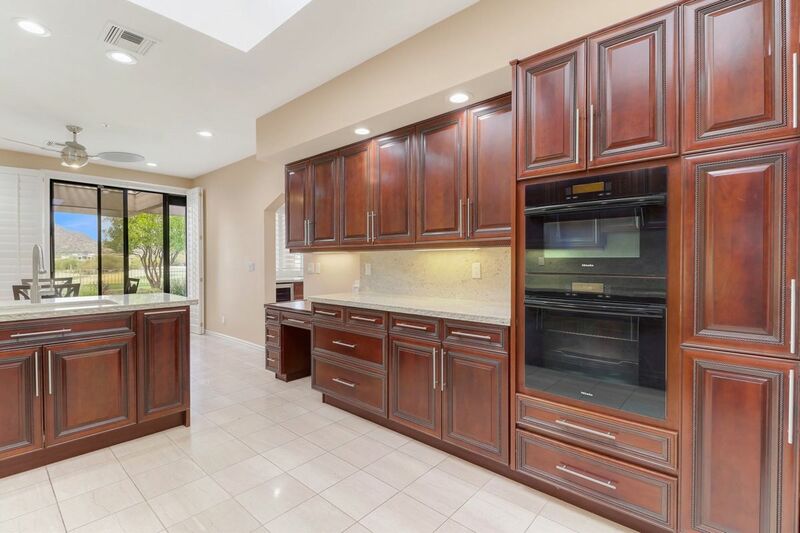 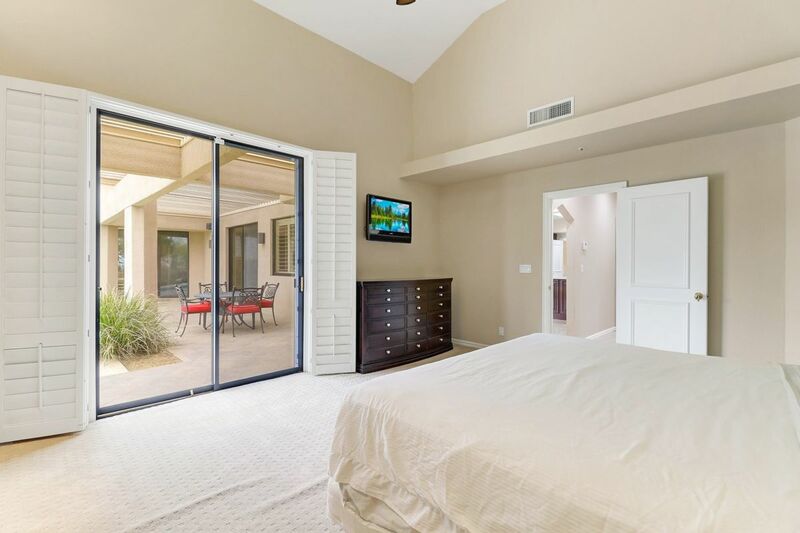 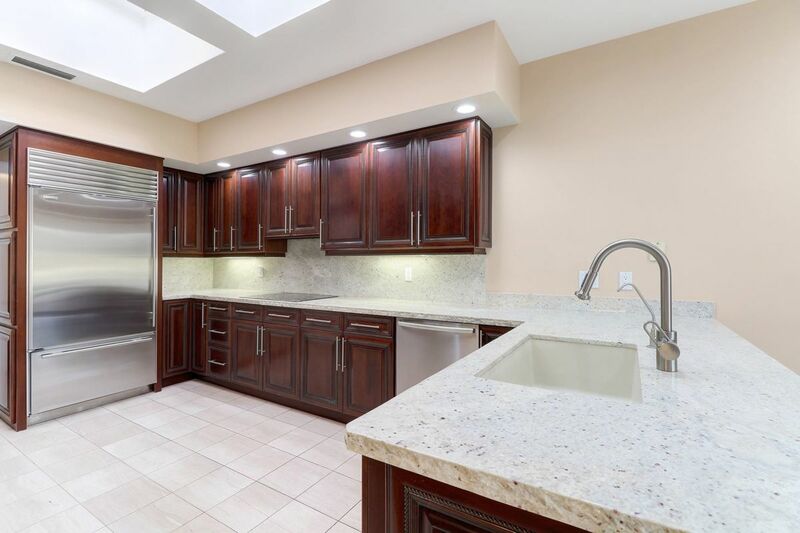 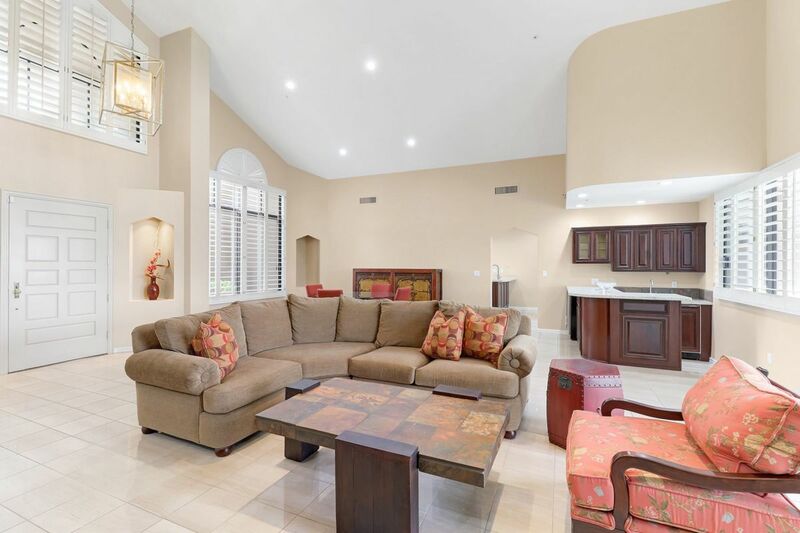 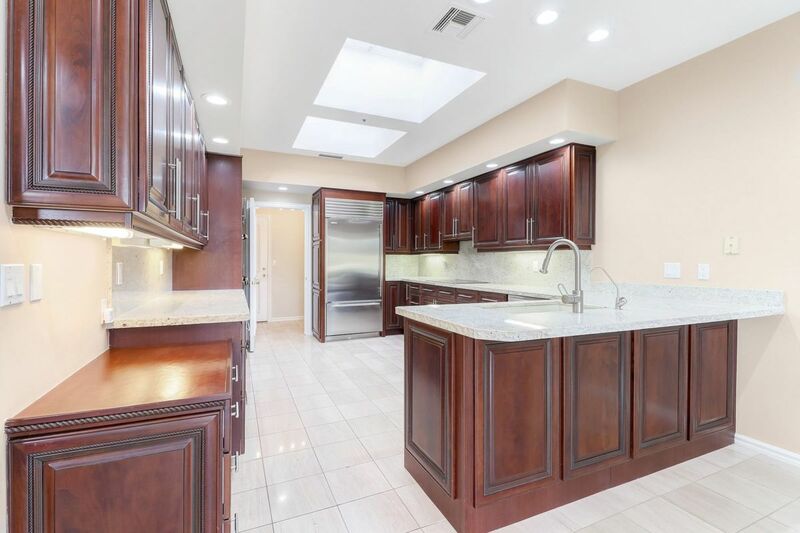 The backyard borders the Troon Country Club golf course and driving range and is nicely appointed with a pool and spa, large covered patio, and built-in barbecue. 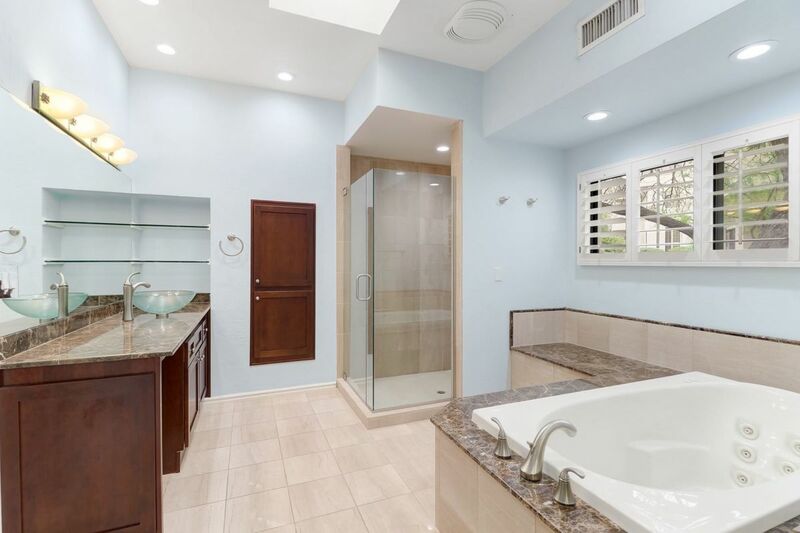 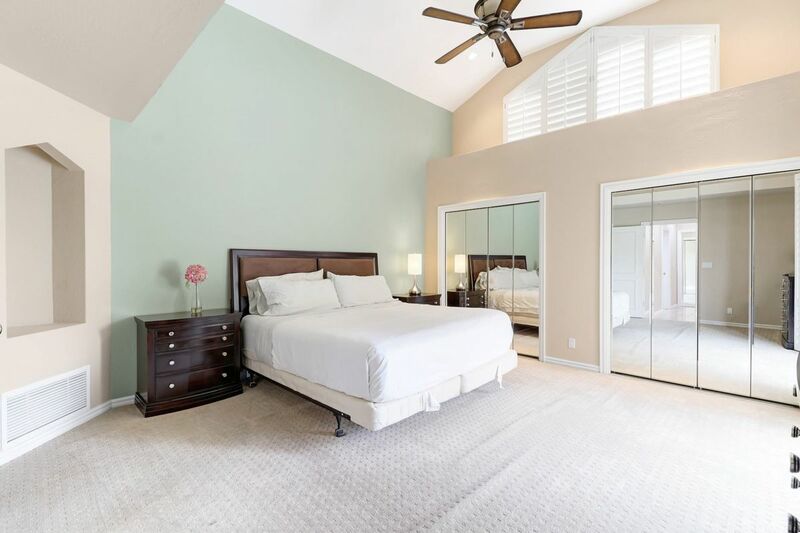 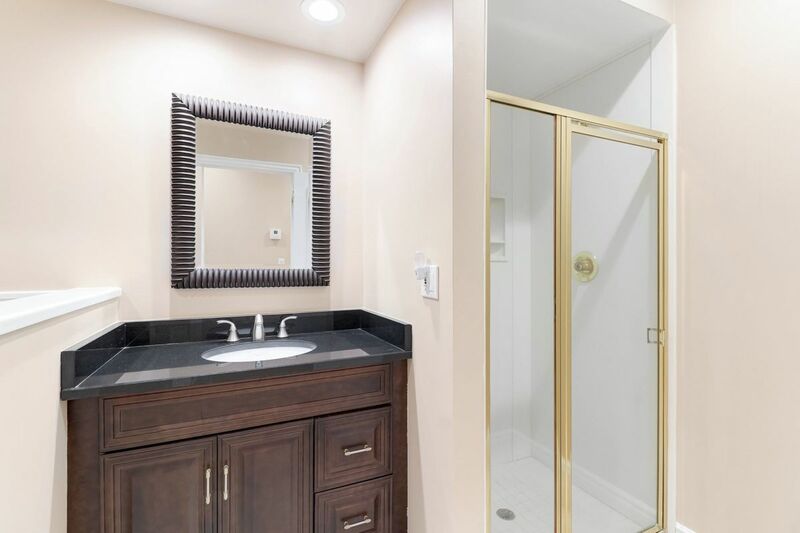 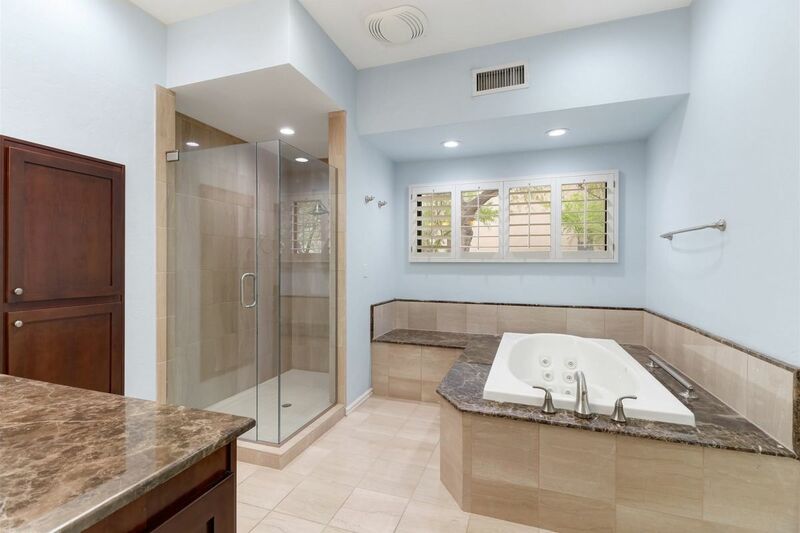 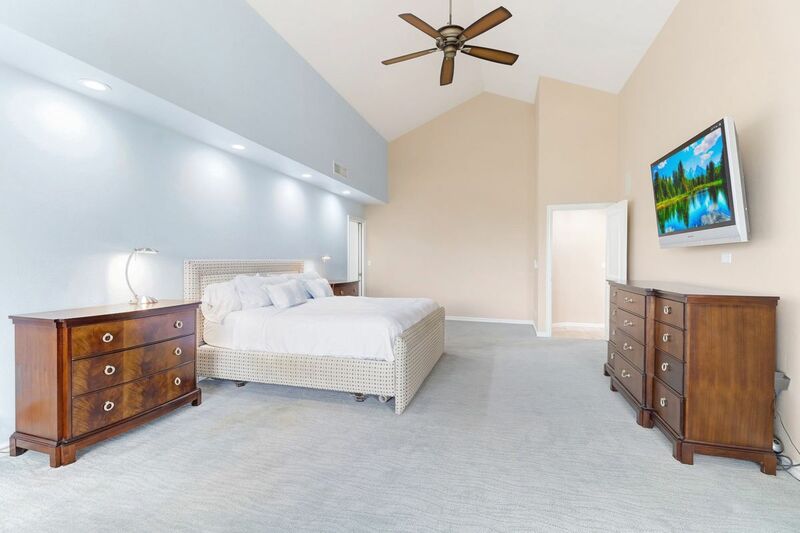 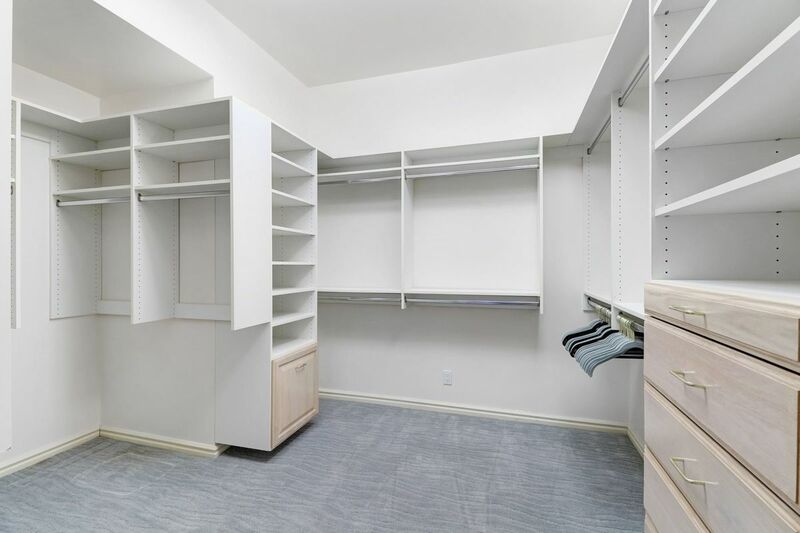 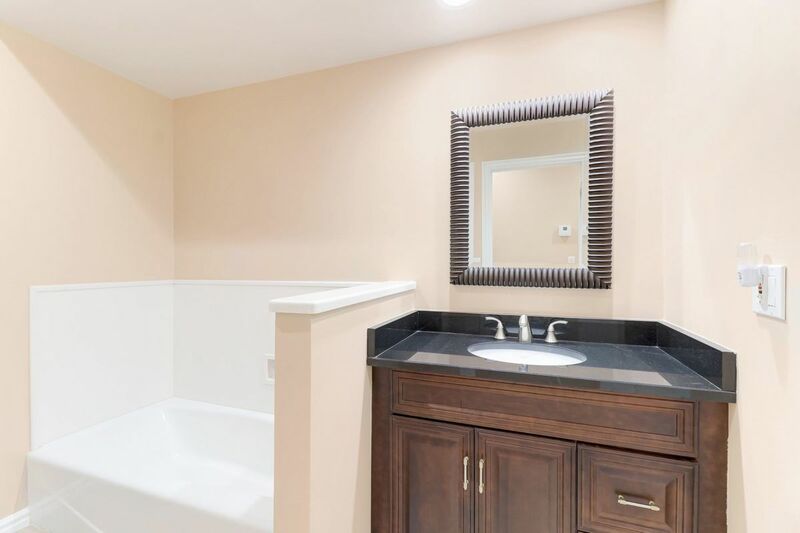 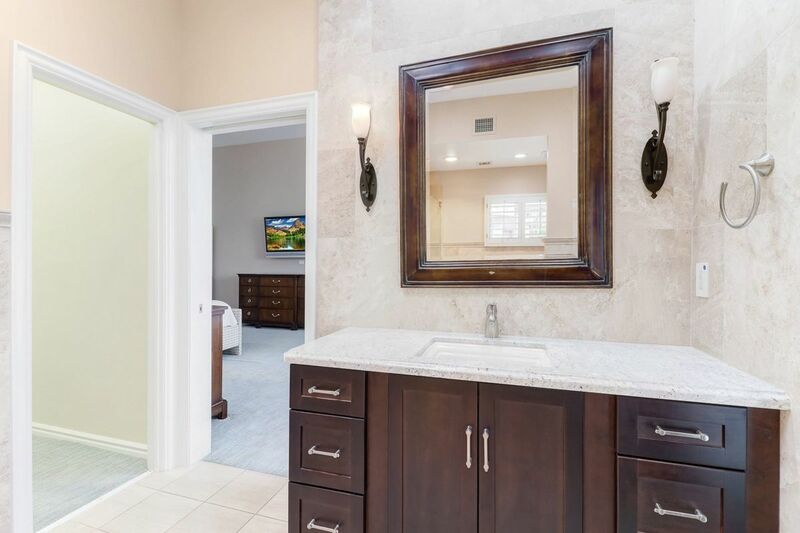 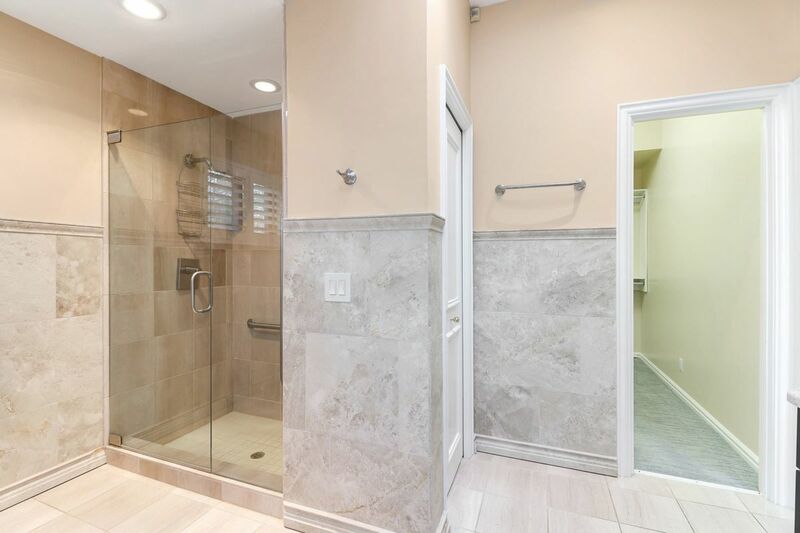 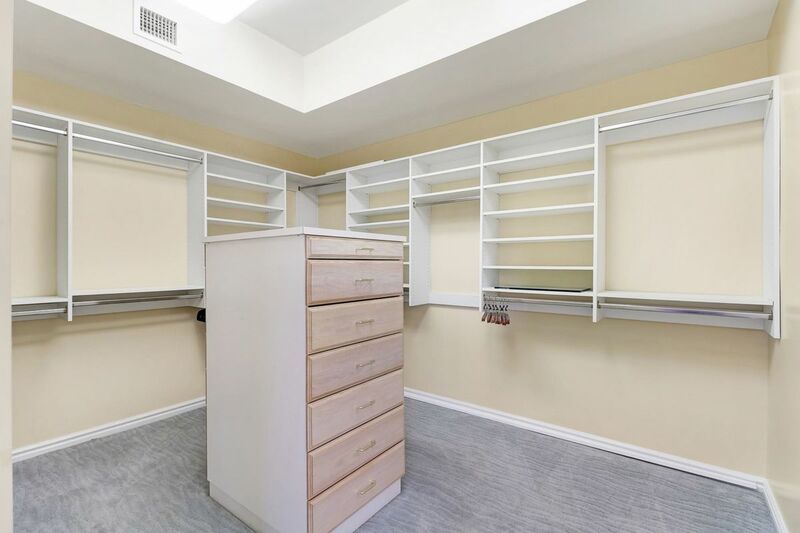 Two master baths, one with pool access, and two large master closets define the master suite for a true his-and-hers experience. 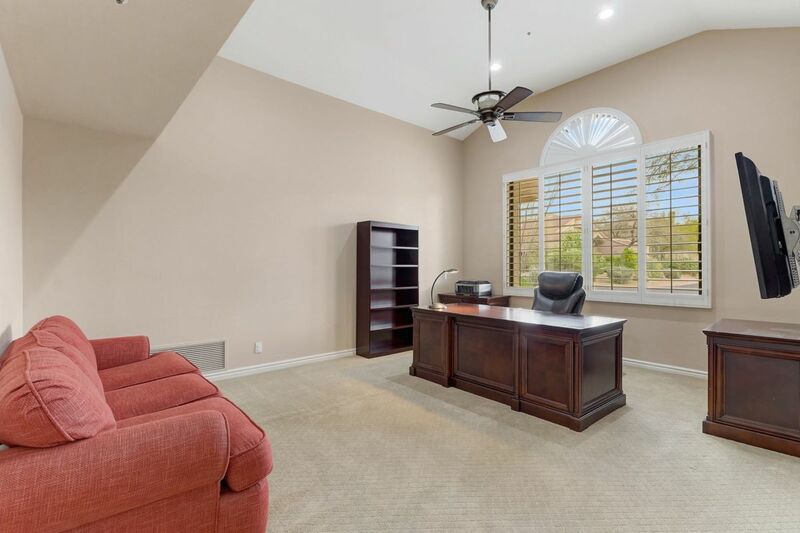 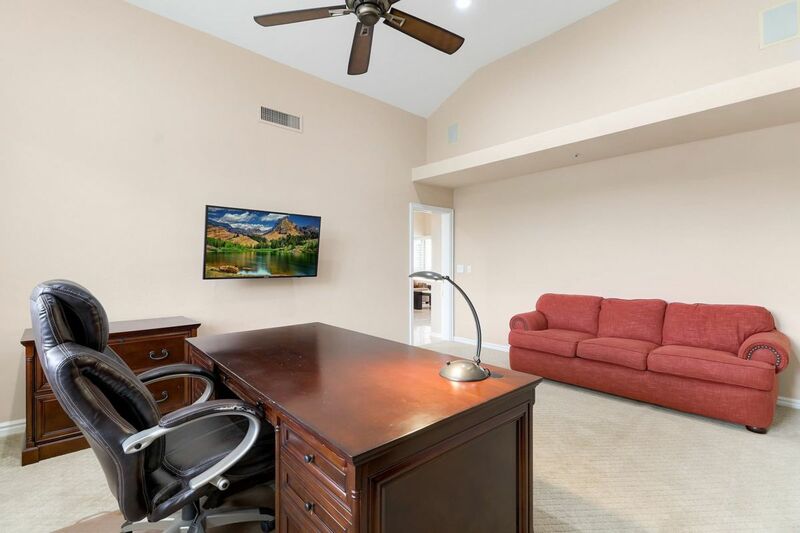 The office/den is a great flex space with views of Troon Mountain. 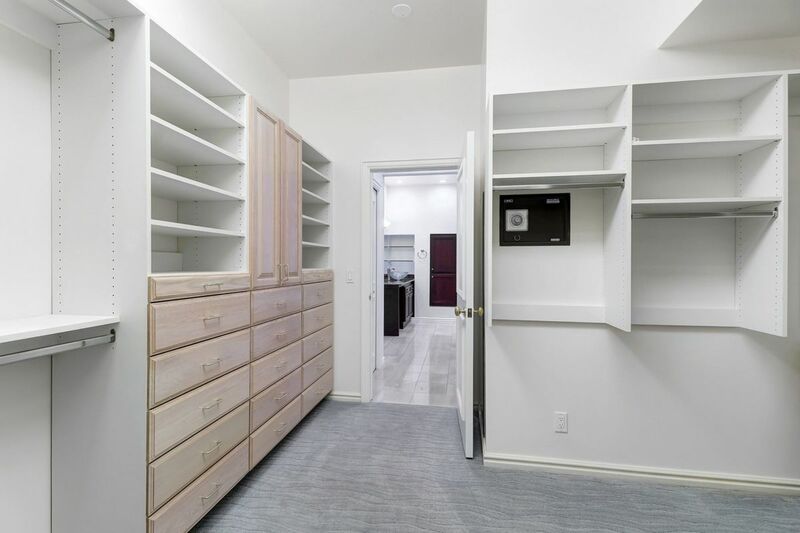 The cul-de–sac location is private and shared by only one other home. 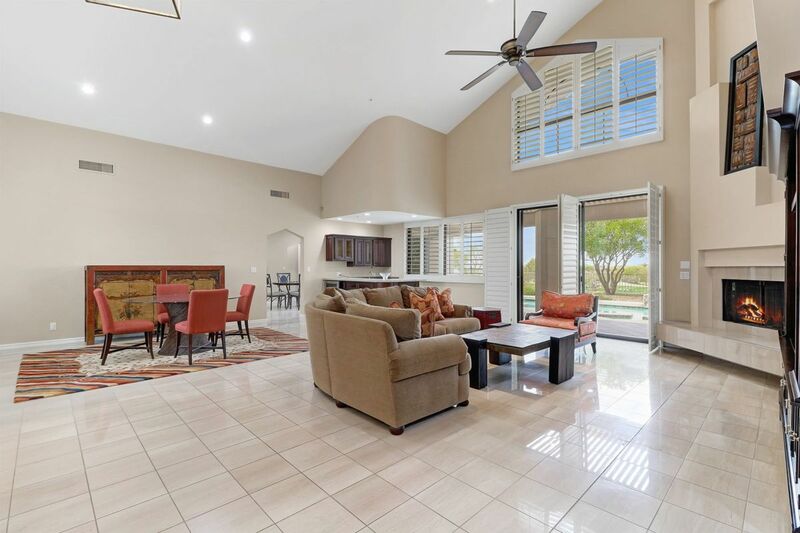 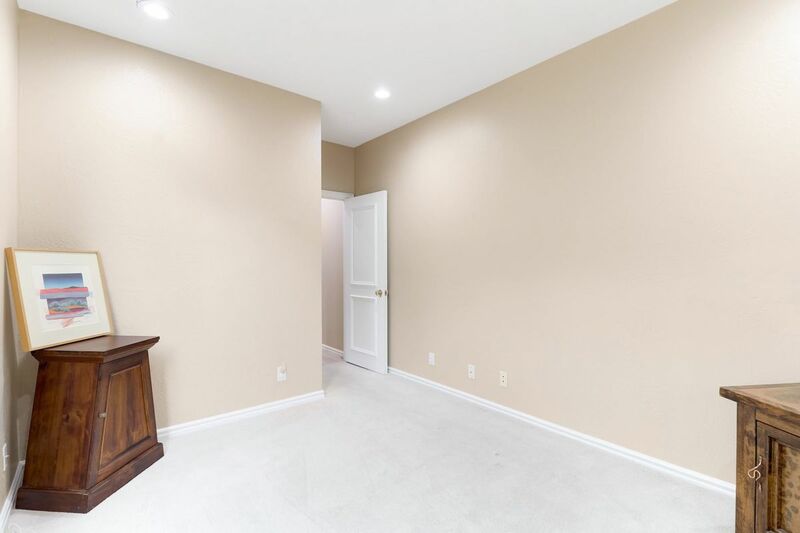 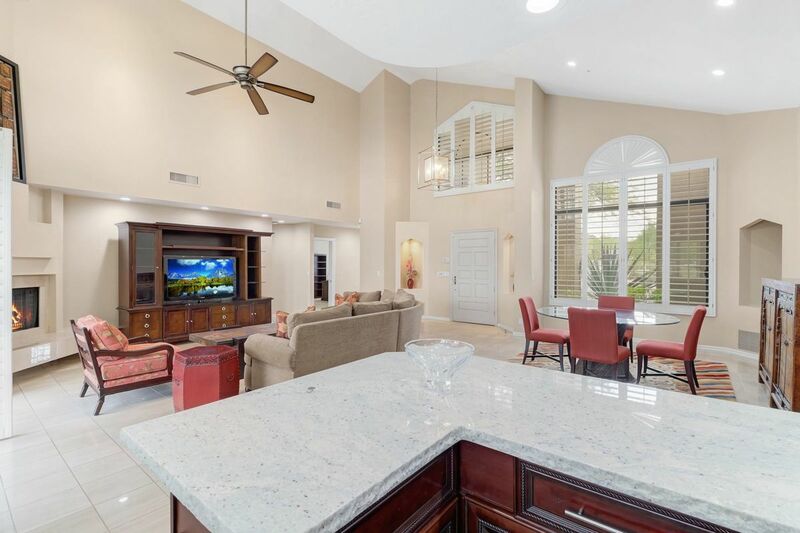 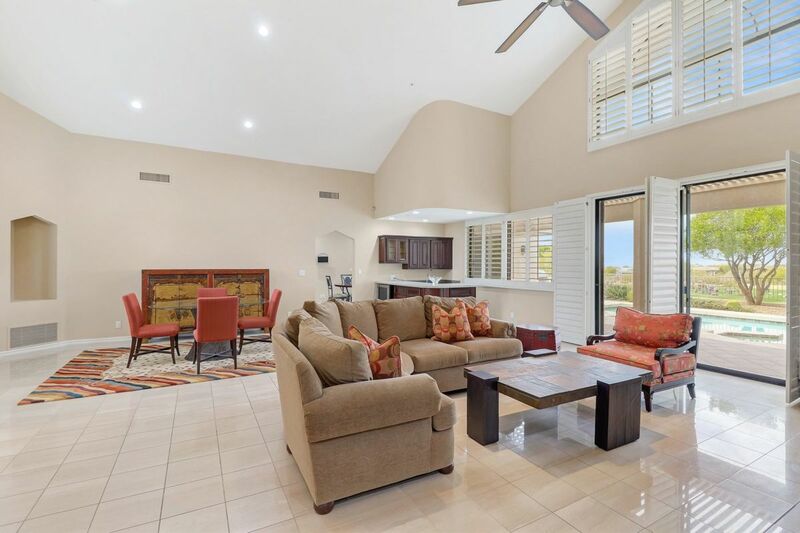 High ceilings, plantation shutters, wet bar, focal point fireplace, great room open floor plan, and good bones make this a prime property to add your personal touches for a truly remarkable home. 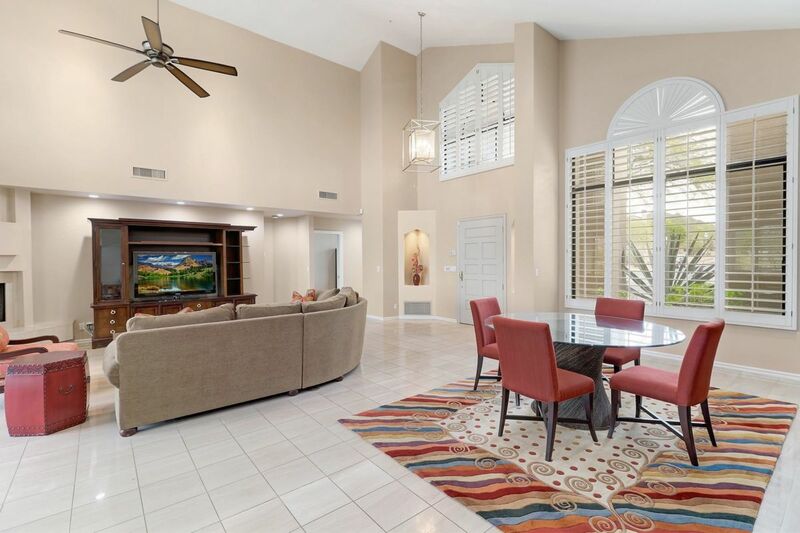 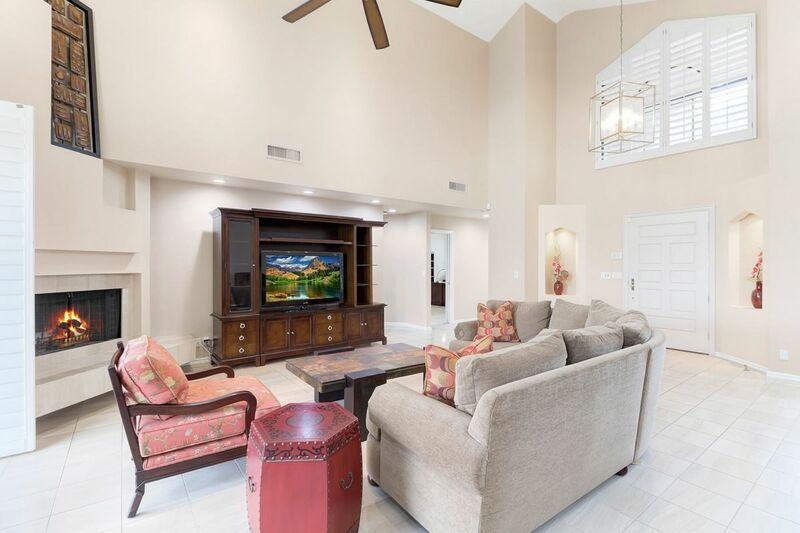 The Ballantrae community features its own community heated pool and spa and workout center.